Blending European brasserie dishes and timelessly elegant surroundings, Renowned for indulgent twists on classic comfort food recipes, Browns has offered trademark favourites since 1973, as well as choices from the specials board or the market fresh fish of the day. Showcasing striking design features and historic or listed buildings, Browns restaurants are a refined yet relaxed dining spot. Located in Millenium Square, Piccolino prides itself on serving the best and freshest Italian cheeses, meat, seafood and seasonal produce. Reflecting authentic Italian flavours and a passion for provenance of ingredients, the restaurant offers a wide variety of both modern and classic Italian dishes, perfect for valentines. This new exciting restaurant in situated in an outside entertainment complex where you have the option to enjoy a film either before or after a romantic meal, or you could even showcase your bowling abilities at The Hollywood Bowl which is very conveniently less than 10 metres from the restaurant. This entry was posted in Uncategorised on 10th March 2015 by Danny. 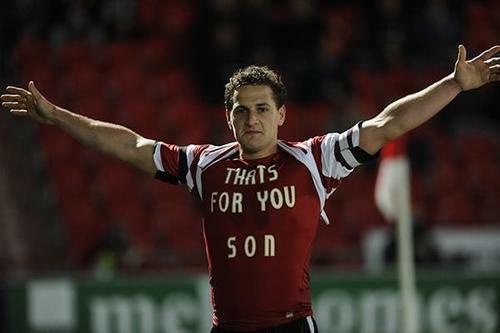 William Louis Billy Sharp was born on the 5th of February 1986. He is an English professional footballer born in Sheffield and currently plays as a striker for Leeds United Football Club. The early years of Billy’s career included playing for Middlewood Rovers, he then went onto begin his career by playing for Rotherham United and then progressing even further to Sheffield United. On the 13th of August 2014 Billy signed a deal with Leeds United and made his debut on the 16th of August by scoring a winning goal against Middlesbrough Football Club. This entry was posted in Uncategorised on 5th February 2015 by Danny. 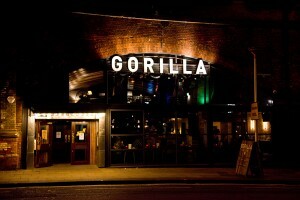 The metropolitan Manchester has a dynamic food scene, with a wide range of cuisines to choose from. Here are some reasonably priced restaurant recommendations from us at City Crash Pad. 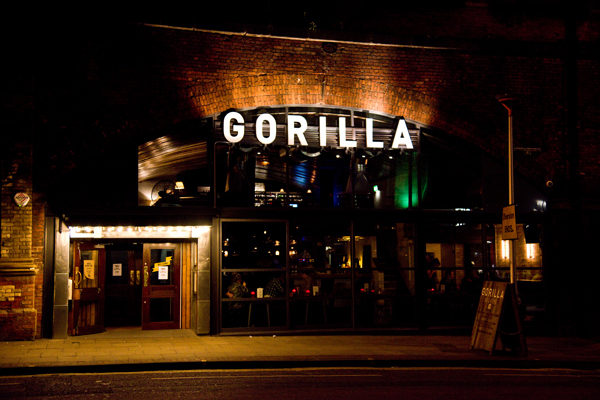 Under the railways of Whitworth Street lies Gorilla – a bar, kitchen, stage and club all rolled into one. It’s been voted the ‘best newcomer’ at the Manchester food and drink festival awards and it is no wonder why! The breakfast and brunch menu is served all the way to 4pm, and other food served till late. Their burgers have won the ‘Best Burger in Manchester’ Title and all bread and pastries are baked in-house, so you know it’s fresh! Don’t miss out on good quality honest food at this place. 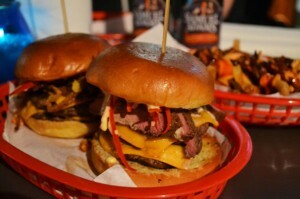 Prepare yourself for a queue at the hugely hyped Almost Famous, a burger and booze joint with sinful burgers jam-packed with quality beef and unique burger combinations. Don’t miss out on the crack wings and the ‘winning’ sweet potato fries doused in house seasoning. Be warned – Depending on what time of the day and what day you do, it’s possible to wait up to 2 hours to get a seat as no bookings are taken. A trip to Manchester is incomplete without paying a visit to Chinatown, the 3rd largest in Europe. 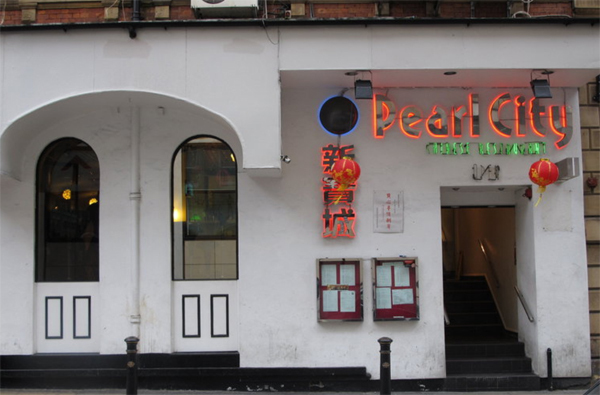 Have yumcha on the weekends at Pearl City, or even makes a great supper stop since they close late. Whatever the time, this place serves up a good Chinese meal. For the absolute best milkshakes, dare we say in the UK, visit Archie’s Burger and Shakes; they have every chocolate bar you can imagine on display and will concoct the milkshake you desire. The burgers are quality as well, and make a great late night snack since they open till the wee hours in the morning. Rap Star, The Game, recently paid a visit and loved it so much, he’s in talks with the owners to franchise it and bring it to the US! Fancy having afternoon tea? 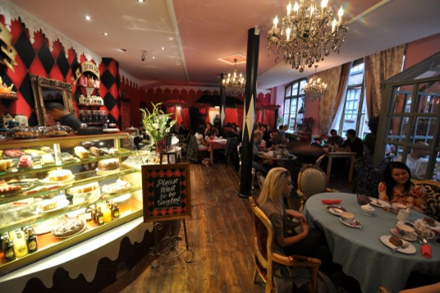 Step into a wonderland at Richmond Tea Room. Have the Alice’s Tea – the Richmond blend tea and freshly baked scones are the perfect combination and most value for money here. Booking is recommended especially on the weekends when it can get quite busy. Love your Indian food? Then Punjab Tandoori Restaurant is right up your alley! 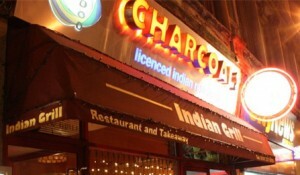 Located in curry mile, this place has a well deserved reputation for serving good Indian cuisine at reasonable prices. They also cater to your spice threshold, so don’t be afraid of having a curry even if you aren’t a spice fan. 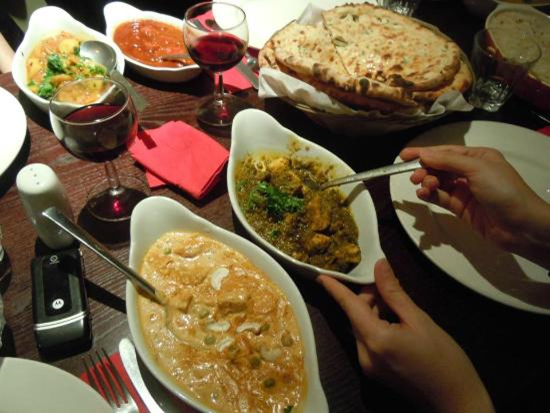 Our favourite is the Masala Dosa, as close to India as you’ll get while staying in Manchester. This entry was posted in Tips and Guides and tagged Eat, Food, Manchester on 31st July 2014 by Danny. Want to make the most of your holiday? Download these mobile apps that will help you with your planning, navigation and even jetlag. Here are a few of our favourites that are completely free and will fully enhance your travelling experience. This application will be your new favourite global travel companion. Throw away your paper maps as this compact travel assistant will lead you around whatever exciting city you’re in. Simply download the map of the city you’re in using wifi and everything else can be done without an internet connection. You’re able to see your location on the map, even without data roaming. 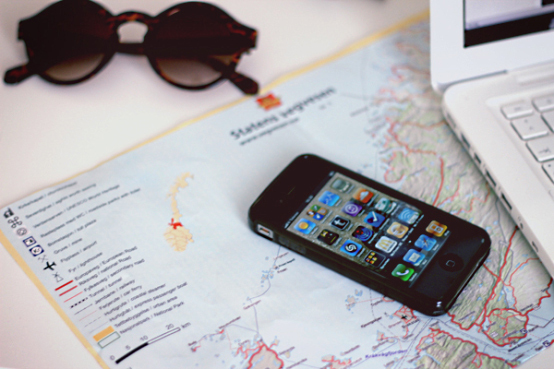 Plan your day ahead of time by creating lists of place you want to visit and pinning them on your map. Or you could also use the app itself to read insider tips on things to do, places to see and where to eat. Not exactly a travel app, but very handy if you travel a lot! This cloud space lets you keep and share all your documents, photos and videos in one place and access them from any device you own. It is great to save your travel photos on but more importantly, keep a digital copy of all your travel documents, including copies of identification and hotel confirmations. Jetlagged and unable to sleep in your new environment? This handy app allows you to create a large variety of background noises aimed to create your perfect sleep environment. Play a little white noise to drown out the other little noises or urban rain if the sound of falling raindrops helps you sleep. Either way, the sounds help you relax quickly and fall asleep faster. A must app for frequent travellers who have problem sleeping. The best flight-booking application available on the market helps look through all the big travel sites and compares ticket prices to ensure you get best airfare deal. It is easy to use and allows you to track various flight prices when book when the price suits your budget. Keep all of your travel plans on-the-go. This app is a free travel organiser that puts all your travel details in one place. Simply send travel confirmation emails to plan@tripit.com from more than 3000 different travel booking sites and they will automatically turn them into an itinerary for your trip in one application. Your itinerary will then be available on your mobile devices or online – making it organised and easy to see what you’re doing during your trip. It also allows you to share your itineraries with family, friends and colleagues so they are always in the loop. Simply the best travel organiser app! Don’t waste your time trying to figure out conversion rates in your head anymore! This currency conversion app uses live currency rates to ensure you get the most accurate conversion possible. Foodies will already know about this app, it’s a go-to-app when looking for food and restaurant suggestions. Just type in what type of food you’re craving for and your current location to see the nearby eats around you, with ratings and reviews from foodies alike. If a thousand people have liked the restaurant, chances are that you will too. It suggests the popular menu items if you’re ever lost as to what to order – score! This entry was posted in Tips and Guides and tagged Apps, Mobile Phone, Travelling on 22nd July 2014 by Danny. On the 25-27 of July, Sheffield’s inner-city music festival is back for its 6th year, with its biggest line-up yet! Artists include Public Enemy, The Cribs, Annie Mac, Katy B, Ms. Dynamite and other national and local artists. 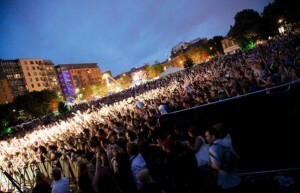 After holding its first festival in 2009, the Tramlines Music Festival has rapidly expanded and led it to win the award for ‘Best Metropolitan Festival’ in 2011. The main stage will be at Devonshire Green and other venues scattered around the city including O2 Academy, Gothic Cathedral, Fusion & Foundry, The Harley and Queens Social Club. Advance tickets are now on sale at £12 for the day and £28 for the whole weekend via Gigantic. This entry was posted in Events, News and tagged Festival, Music, Sheffield on 17th July 2014 by Danny. 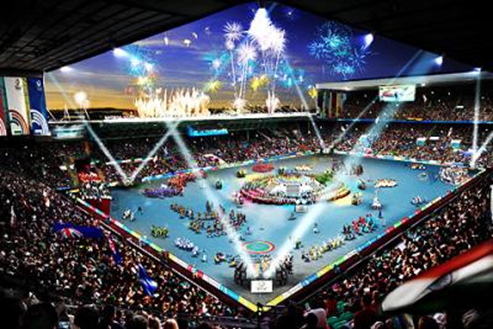 From the 23 July – 3 August 2014, the Commonwealth Games are in Glasgow! It will showcase over 4000 finest athletes from all over the commonwealth, making it the biggest ever sporting and cultural celebration in Scotland. The Commonwealth Games is an international, multi-sport event involving athletes from the Commonwealth Nations. This will be the first time Glasgow is hosting the games, as previous Games held in Scotland were both in Edinburgh. The games will showcase 17 sports: from the combat of wrestling, to the high adrenaline track events, and not forgetting the graceful gymnastics. What is unique to the games is the inclusion of sports that are played mainly in Commonwealth countries, such as lawn bowls and netball. England has competed and placed at the top 3 at every Games, with 6 times coming away with the first position. This year, we are sadly missing Sheffield’s Jessica Ennis-Hill, who will be absent from the games because she is expecting her first baby. 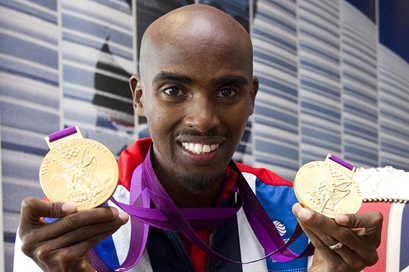 But we’re excited to root for UK’s double Olympic gold medallist, Mo Farah! Don’t miss out on this cultural sporting event, book your stay with City Crash Pad to immerse yourself in the exciting happenings Glasgow has to offer. This entry was posted in Events, News and tagged Athletics, Games, Glasgow on 11th July 2014 by Danny. 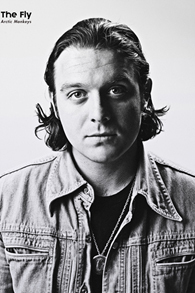 Born on the 5th July 1985 in Sheffield, O’Malley was called in as a temporary replacement for bassist Andy Nicholson when he announced he would not make the band’s North American tour in 2006. O’Malley says he learned the whole album in just two days and “pretty much didn’t even leave the house”. He made his first appearance with the band on 25 May when they played a secret gig in East London and his first recording with the band in the single “Leave before the Lights Come On”. Nicholson’s departure from the band saw O’Malley joining the band full-time and joined the band in headlining the Glastonbury Festival in 2007. 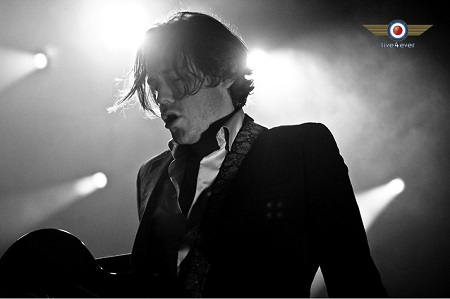 The band is currently on tour and taking the music scene by storm, making Sheffield proud to be the home of Arctic Monkeys. This entry was posted in Happy Birthday! and tagged Arctic Monkeys, Sheffield on 5th July 2014 by Danny. Tour De France Arrives in Sheffield! For the first time in cycling race history, the Tour de France will arrive in Sheffield on Sunday 6th July! With it, it will bring at least 250,000 spectators who will line the route in Sheffield, cheering on the cyclists. On 1 July 1903, 60 pioneers set out on their bicycles from Montgeron for the first ever Tour de France. As the years passed and the tour gained popularity, its reach began to extend beyond France. It is the oldest and the most prestigious cycling tour present today, garnering 22 teams from around the world competing in this year’s race. The 101th Tour de France will be made up of 21 stages and cover a total distance of 3656km with various stages such as flat stages, mountain stages and hill stages. After its UK leg of the tour, it will also pass through Belgium and Spain. The event will draw at least 250,000 spectators who will line the streets and welcome their arrival into Sheffield from York. 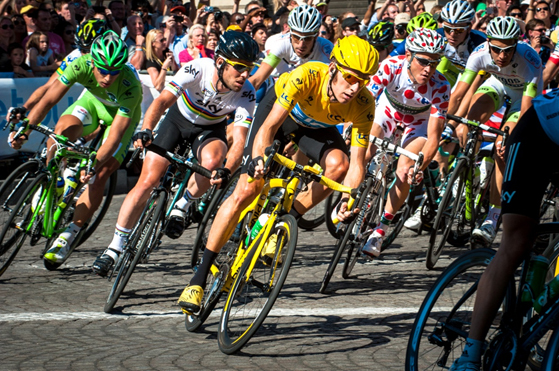 Be part of the action by booking your stay with City Crash Pad over the Tour de France weekend now. This entry was posted in Events, News and tagged Cycling, Event, Sheffield, Tour De France on 1st July 2014 by Danny. Whatever the occasion or craving, Glasgow has a wide range of food to choose from. Here are four places we enjoy and recommend you dine at during your stay in the Scottish city. 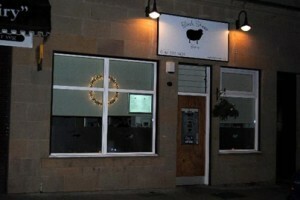 Treat yourself to wonderful Scottish food fare at the Black Sheep Bistro. 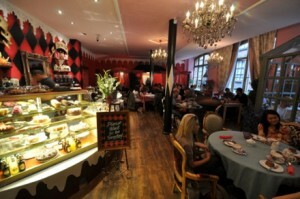 This family run Bistro is a cosy place with friendly staff, serving hearty portions and desserts that you must not miss. Slightly off the beaten track but worth the jaunt as the food here is delectable. It’s popular amongst both locals and tourists alike so book in advance to ensure a table. 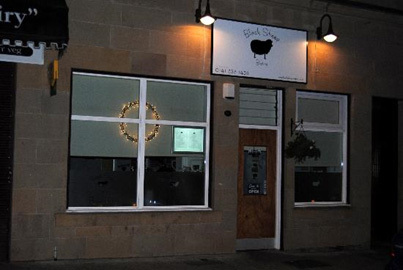 A trip to Glasgow is incomplete without dining at one of the most well-known restaurants in Scotland, Two Fat Ladies at The Buttery. Based just on the outskirts of the city centre, diners are transported to the 1920s when they enter the restaurant and are greeted by its old world charm. The main draw here is the wonderfully fresh seafood that is skilfully prepared by chefs (we recommend getting the scallops! ), prepared to be wowed at both the presentation and taste of these dishes. Craving Indian Food? Look no further than Charcoals! 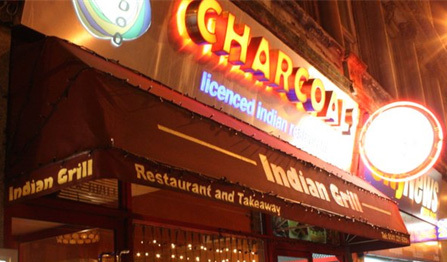 It’s safe to say they deserved winning the Best Curry house in Glasgow title at the Best Curry Awards – they serve phenomenal food like Chicken Poori, South Indian Garlic Chilli and Special Naan that is unbeatable. The extensive menu has something for everyone, including great vegetarian options for those who choose to go meat-less. The hospitality there is second to none – Ali and his brilliant staff go the extra mile to make you feel welcomed. Don’t miss out on this place, it’s the best Indian Food in Scotland! 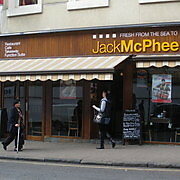 Those on a budget should pay a visit to Jack Mcphee for fish & chips, hailed as the most under rated chippy in Scotland. Get piping hot chips and a fresh crispy battered fish – £5.95 for a big chunk of haddock and chips is a bargain! This entry was posted in Tips and Guides and tagged Eat, Food, Glasgow on 30th June 2014 by Danny.